Although there are a good many battles mentioned in the Old Testament, the Battle of Qarqar is mentioned neither by name nor description. It has been said that this battle between Assyria and a coalition of Canaanite and Syrian kingdoms consisted of the largest number of combatants of any battle to date, so why is it not mentioned? The contention argued here is that it is not mentioned because neither Samaria nor Judah were involved in the battle, despite a claim that Samaria was a member of the coalition against Assyria. Fortunately, the battle certainly is mentioned elsewhere. The Kurkh monolith describes the events of Shalmaneser III's sixth reignal year (853 BC), when he clashed with a coalition of forces near the city of Qarqar, with each division of that coalition being led by its own king under the overall command of Hadadezer, king of Aram Damascus. This new dating system requires a step back in order to provide an overview. By adding together the length of the reigns of the kings of Judah in the Old Testament books I & II Kings, a result of 393.5 years is obtained. That's very close to the 390 years of 'iniquity of the house of Israel' in Ezekiel 4:4-6. Therefore, the reigns of the kings of Judah as listed in I & II Kings are accurate, with 390 years a little more accurate than the summing of all of the individual reigns. By counting back from 586 BC (the generally-accepted date for the destruction of the First Temple in Jerusalem by the Babylonians), a date is obtained for the beginning of the reigns of the kings of Judah. From those reigns can be found the reigns of the kings of Samaria, by looking at the year in which each of their kings gained the throne in relation to the reign of the contemporary king of Judah (as listed in I & II Kings). It is recorded that after Israel's division into Samaria and Judah, all of the kings of Samaria caused this land to sin. Although the nation state of Samaria ceased to exist in 722 BC when it was defeated by the Assyrians, the 'house of Israel', meaning its tribes, survived the fall as shown in the reign of Josiah when, around 623 BC, representatives of all of the tribes of Judah and Samaria celebrated the Passover (II Chronicles 35:18-19). So where does the forty years of 'iniquity of the house of Judah' come from? The translation comes from two notes on the monolith Inscription of Shalmaneser III from Kurkh, Tel Aviv 3, pp 89-106 (Professor Nadav Na'aman, 1976). 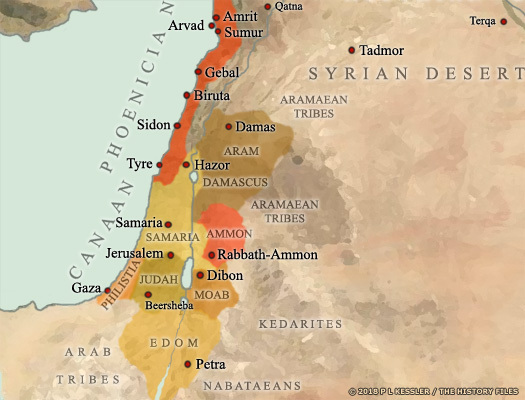 The use of 'Israel' and 'Samaria' to denote the northern kingdom following Israel's division are largely interchangeable, but Samaria is preferred throughout this site to make a clear distinction between the unified Israelite kingdom and its subsequent northern division. The standard dating is followed across the rest of this site but, other than a misalignment in dating with this particular feature, the details here are useful as a background to finding out more about the battle. There were wicked kings before and after King Manasseh of Judah (687-642 BC) but, thanks to him turning his back on the worship of Yahweh, he is classed as being the most wicked. Thanks to him, it was determined that Jerusalem and Judah would be destroyed (II Kings 21:11-16). But Manasseh reigned for fifty-five years, so why is forty years used? Manasseh was captured by the Assyrians and was treated terribly. He humbled himself and repented, was forgiven and served Yahweh for the rest of his life (II Chronicles 33:11-16). If that was for the last fifteen years of his reign, then the first forty years cover the period of destruction. Apparently it was not to late for individuals to be forgiven but it was to late for the nation to receive forgiveness and obtain earthly blessings (II Kings 23:23-27). Then, according to I Kings 22, three years passed without war. However, in the same chapter Ahab fell in battle at Ramoth-Gilead at the hands of the king of Aram (Ben-Hadad) which is assigned an approximate 'new' date here of 899 BC. Apparently, about twelve or thirteen years later, there was another battle at Ramoth-Gilead, this one with Ahaziah of Judah and Joram of Samaria ranged against Hazael of Aram Damascus (the Damascene kings were also referred to as kings of Syria) (II Kings 8:25-29). Therefore, King Hazael would have reigned from at least the (Second) Battle of Ramoth-Gilead in the reigns of Ahaziah of Judah and Joram of Samaria (II Kings 8:25-29) and through the entire reign of Jehoahaz of Samaria (II Kings 13:22), probably for a period of at least forty-five years. 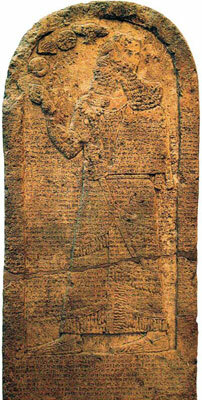 Who is the King Hadad-ezer mentioned on the Kurkh monolith of Shalmaneser III? There is a King Hadadezer mentioned in the Old Testament who battled against King David (II Sam 8 & 10, I Kings 11:23, and I Chron 18) but that was much too early to be the same king. The new dating used here has the reign of Ahaziah of Judah at 886-885 BC (as opposed to the usual dating of 843-842 BC), and the reign of Joram of Samaria at 898-886 BC (instead of the usual 847-842 BC). The reign of Jehoahaz of Samaria would be 855-841 BC (instead of 814-800 BC), having begun in the twenty-third year of the reign of Joash of Judah. 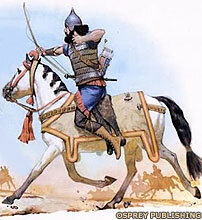 By using the same calculations, Hazael of Syria would be on the throne around 886-840 BC (instead of 842-798 BC), which would make him king of Syria at the time of the Battle of Qarqar, therefore allowing Shalmaneser III to refer to him as Hadad-ezer of Damascus. This would also explain why Hazael (Hadad-ezer) named his son Ben-Hadad (II Kings 13:24), meaning 'son of Hadad'. Ben-Hadad of Aram Damascus presents some problems for scholars when trying to put together a list of that city's kings. He is claimed as the son of King Tab-Rimmon, with a reign which begins around 914 BC. But [a] Ben-Hadad is still on the same throne until about 842 BC. It may be one and the same king, although he would be quite aged by the time of his assassination in that year. It's possible that he gained the throne as a child, which would make him close to seventy at his death - a reasonable way out of the problem. However, most scholars tend to break up his reign into two phases, assigning the second phase to a Ben-Hadad II. Text copyright © Wayne McCleese. Map copyright © P L Kessler and the History Files. An original feature for the History Files.